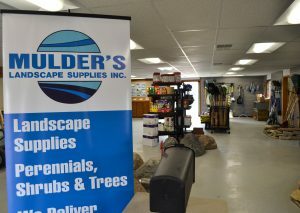 Art Mulder founded Mulder’s Landscape Supplies, Inc. in 1984 with a passion for caring about customers and the products offered to them. Locally owned and operated to this day, Art and the Mulder’s crew have created a dependable one-stop shopping experience for landscaping professionals and enthusiasts alike. In addition to light excavation services, Mulder’s offers a wonderful environment for shoppers to find everything they need for their yard maintenance and beautification projects. From personal use to professional-scale projects, we have the bulk supplies needed for a wide array of projects. Mulder’s processed top soil is screened in-house to provide you with the finest soil for lawns. Our mix soil is a mix of compost, sand, and soil to produce a great blend for use in plantings or gardens. 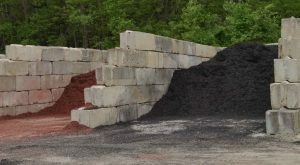 We also carry a large selection of processed manure, aggregate, bark, mulch, landscape boulders, pre-cast concrete blocks and bricks, natural stone steppers, edging, timbers, and much more all available with delivery by appointment! 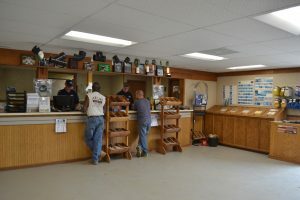 Customer service is a priority at Mulder’s Landscape Supplies. Mulder’s professional staff can help you with any and all of your wants and needs. With our ample selection, there is no need to spend your time making multiple stops to get your supplies elsewhere when you can get everything you need at Mulder’s! Contact Mulder’s to learn more about our services and offerings today!